The weekend is a good time to relax or if you're like us, contemplate on the history of mobile devices. A year ago we started putting our musings to paper, to web pages anyway. 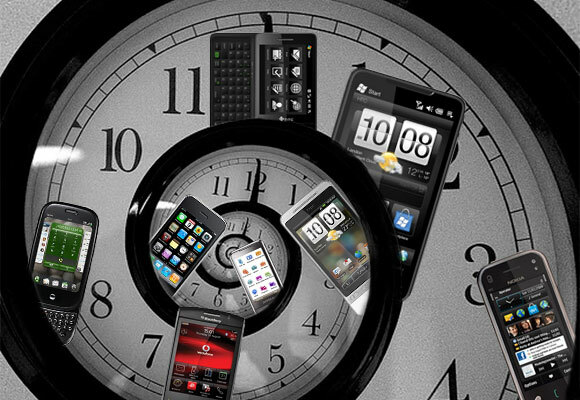 While you may think the last week of January is just announcements of pink devices for Valentines Day, it has proven much more exciting than that – the launch of the iPad, the sale of the 1.5 billionth S40 phone and the death of Symbian. Through the years Apple has had several i-announcements that changed the face of the market. The iPod was announced in 2001, the iPhone in 2007 and in the last week of January 2010, the iPad. Our headline from the announcement reads "Apple iPad announced, is iPod touch on steroids". And in a way it was, just like the iPhone 6 Plus is a smaller iPad mini. But that's the magic of Apple – it knows just the right amount of tweaks that will make a product a top-seller. The iPad was far from the first tablet, it's not even the first tablet from Apple. And yet it's largely responsible for the boom of the tablet market. Microsoft and Intel have been pushing the UMPC – ultra-mobile PC – for a year before the iPad launched, they even had some good ideas. The form-factor never took off, while today many people use "iPad" as a synonym for "tablet," famously the NBA commentators sponsored by (and supposed to promote) Microsoft's Surface tablet. Surface sold over $1 billion worth of tablets last quarter and Microsoft's Windows 10 is aimed at tablet/laptop hybrids but things could have been very different if the iPad hadn't come out. The iPad provided the fledgling tablet market with the same jolt of energy that the iPhone delivered to smartphones. It has since spawned a more compact iPad mini version and rumor has it that a larger iPad Pro tablet is in the works. It's an old rumor, but the larger iPhones last year rekindled it. The iPad is the only thing that propelled tablets higher – the words "post-PC world" were used again and again until people started believing it was true. The desktop was dying (with declining sales for proof) and smartphones and tablets were the way forward. Phones with gigahertz multi-core processors were as powerful as computers from a few years ago, so why not use a smartphone to power a laptop shell, that merely provides a big screen and keyboard (for ergonomic reasons)? As an added bonus, all your data will in one place (no need for a phone-to-computer sync) and you only had to pay for one data plan. 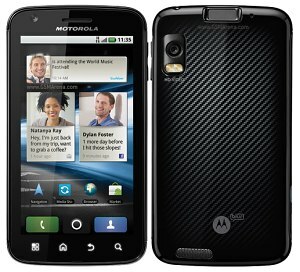 That's what Motorola was thinking with the Atrix, which was announced in January 2011. It had a "roaring Tegra 2" chipset and was getting 1080p video recording. It can be attached to the Lapdock – an 11.6" laptop shell that provided an extra battery and a desktop Firefox app, in addition to the roomy screen and keyboard. The project ultimately failed, though Asus is still keeping the "smartphone brain" dream alive. The Asus Padfone takes the concept even further – a smartphone docks into a tablet, which can then be docked to a keyboard. The Asus Transformers use two thirds of that, they are tablets with dedicated keyboard docks. While the Moto Atrix is dead and the Asus devices are fairly niche, Microsoft and Intel see a future into so-called hybrid devices. As we mentioned above, Windows 10 has special support for it with the Continuum feature. Sony Ericsson (now Sony) had Bluetooth watches that display call and message information from your phone. In retrospect those were pretty cool, a regular analog watch with a small digital display. 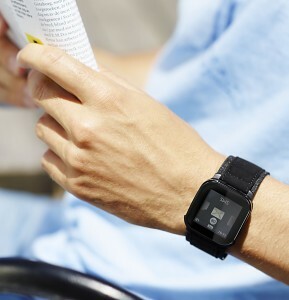 In late 2010 the company launched the LiveView – a smartwatch for the touchscreen era. Soon after (in January 2011) it updated it to support a total of 30 plugins, improve compatibility and stability. Like Apple and the iPad, Sony Ericsson didn’t invent the smartwatch (those have been around since at least the 1980's), but unlike Apple the company failed to become the king of the domain. Sony still makes wearables – smartwatches and smartbands, even smart glasses – but it's not a dominant force. By the way, Apple announced a smartwatch but we're still waiting for it to launch (in March apparently). In January 2012 Nokia celebrated the sale of its 1.5 billionth Series 40 phone. S40 was once the dominant platform and key to Nokia's goal of "connecting the next billion." While not a smartphone, the little gadgets had email and web browsers, IM clients too, in short everything necessary for a basic connection to the Internet. It was impressive growth, having sold over a billion devices. Series 40 launched with the Nokia 7110 in 1999 and went through a touchscreen phase, eventually morphing into the Asha platform and then fading out. It's still alive in spirit – fueled by Microsoft, which releases Series 30+ feature phones a few times a year. The Internet dream is dead though, Nokia had created a special browser (to replace the Opera Mini) but this week it officially pulled the plug. Also this week, analysts announced that there were 1 billion Android devices shipped in 2014 alone – Google's OS is now the way to connect the next billion. 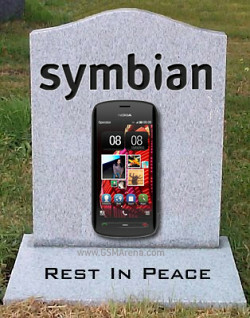 Just as Nokia's Series 40 was the largest phone platform out there, so was Nokia's Symbian platform that was the biggest smartphone platform. It was split into multiple types – Series 60, 80, 90, etc. – but eventually S60 was the last man standing. Or should we say king of the hill? The Series 60 platform launched in 2002 with the Nokia 7650 and despite the millions of devices and happy customers, in January 2013 it had reached the end of its path. Nokia announced that the Nokia 808 PureView was its last Symbian phone. At one point other companies were putting out Symbian devices – Sony Ericsson, Samsung, NTT DoCoMo – but one by one they dropped out and joined the dark side, uh, we mean Android. Nokia never recovered from the decline of Symbian and now the Devices and Services division, responsible for so many legendary phones, is a part of Microsoft. Series 40 has powered some of the best-loved Nokia phones. One such phone - the Nokia 6700 classic - was a metal beauty whose 5MP camera was a benchmark for mobile photography for a long time. The phone also boasted advanced functionality like Nokia Maps with a GPS receiver for navigation, Wi-Fi connectivity, 3G (up to 10Mbps) and a Webkit-based Nokia browser borrowed from Symbian. Aside from tech, late January has been an exciting time for GSMArena too! 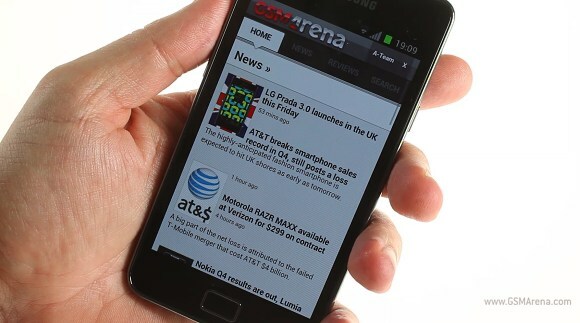 For one, three years ago we unveiled the mobile version of our website, m.gsmarena.com. Since then we've seen more and more people use it – to read up on phones on their phones because the future is nothing if not meta. Another launch from late January is the birth Counterclockwise. Back then we called it "Stroll down memory lane" and we began our nostalgia trip and digging through our news archive. Now excuse us as we blow out the candles.